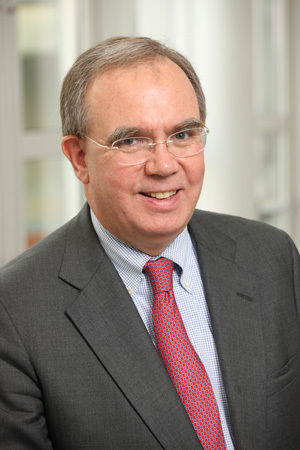 Washington, DC: The American College of Trust and Estate Counsel (ACTEC) is proud to announce Charles D. “Skip” Fox, IV as President. The official “Passing of the Gavel” ceremony took place Saturday, March 10th at The American College of Trust and Estate Counsel’s Annual Meeting in San Antonio, Texas. Fox, a partner at McGuireWoods from Charlottesville, Virginia, succeeded ACTEC Fellow Susan T. House from Pasadena, California. ACTEC is an organization of peer-elected lawyers and law professors who are skilled and experienced in the preparation of wills and trusts, estate planning, and probate procedure; and administration of trusts and estates of decedents, minors, and incompetents. Fox was elected to ACTEC in 1996 and has been an officer since 2014. He has been an active participant in the work of the College in a number of committees including: Estate and Gift Tax, Long Range Planning, Legal Education, State Chairs Steering, and The ACTEC Foundation as well as serving as a member of the governing body of the College, the Board of Regents. Mr. Fox has been an influential voice in U.S. estate tax policy and legislation. As general counsel for the advocacy organization Policy and Taxation Group, he helped lead research for a study that was instrumental in persuading Congress to enact estate tax reforms in 2001. He served on the editorial board of Trusts & Estates magazine and chaired the board of Trust & Investments, two leading industry publications. He wrote a monthly column for the American Bankers Association Trust Letter for 17 years, has been the co-presenter of the American Bankers Association’s monthly teleconferences on trusts and estates topics since 2000, and is a sought-after speaker on estate planning and trust administration issues for banks, trust associations, estate planning councils, tax institutes, bar associations and other organizations. The immediate Past President, Susan T. House, will also serve on the Executive Committee as a Regent during the 2018-2019 year.